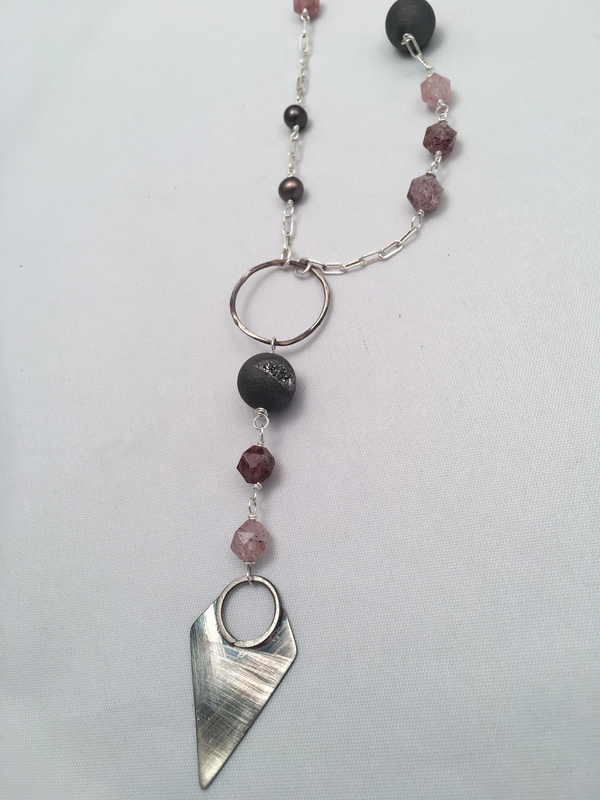 This necklace is a long beautiful mix of gemstones on sterling silver with a hand forged sterling silver arrowhead and hoop at the center. 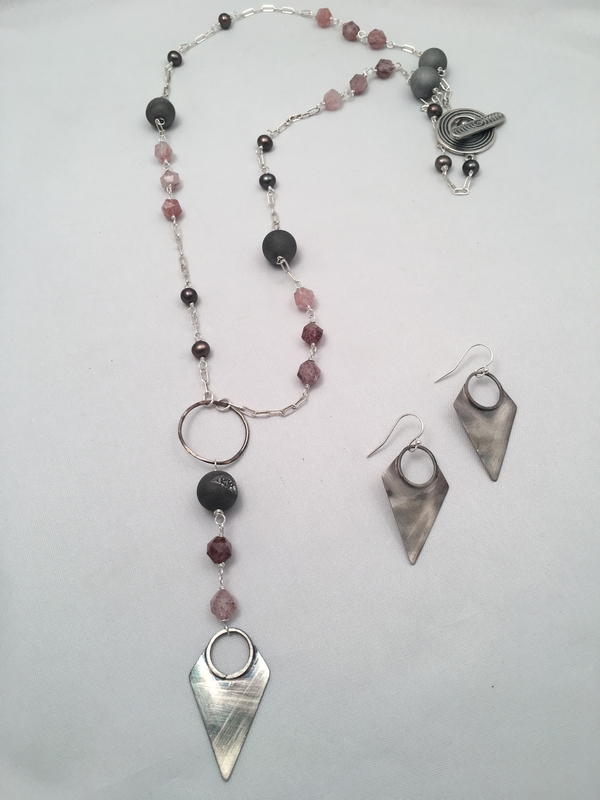 Freshwater pearls, drusy quartz and cherry quartz all form an irregular pattern on the chain. The clasp is a fun spiral on sturdy base metal and allows for the possiblity of doubling the necklace (please see measurements). This necklace is 33 1/2 inches long with an additional 4 1/4 inches of pendant from hoop to arrowhead. There have been parts of this piece that have been blackened. Cleaning wtih silver cleaner will take this treatment off. Earrings not included.